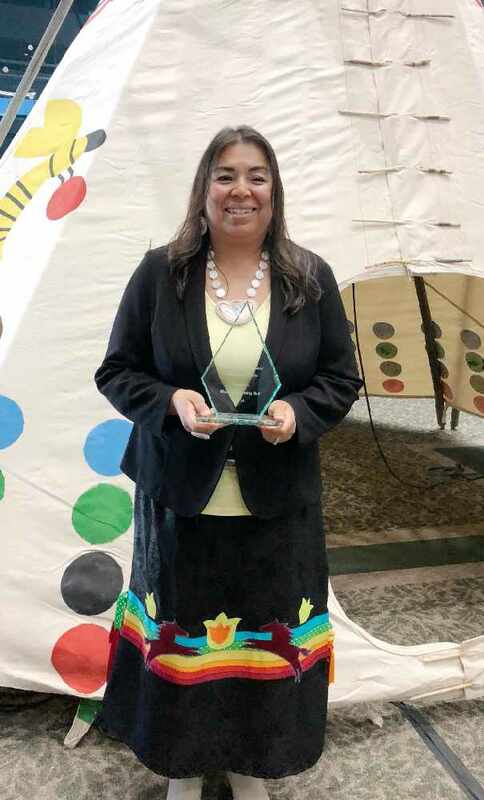 The winner of the 2018 Chief David Crowchild Memorial Award is Shawna Morning Bull, manager of business development for Community Futures Treaty 7. She was presented the award by Calgary Mayor Naheed Nenshi June 20. Morning Bull is also a board member of the Piikani Nation. As part of Community Futures, Morning Bull works with Treaty 7 bands, assisting with small business development. She sits on a number of economic development boards. Upon hearing she would be presented the award, Morning Bull said she was in shock, and overjoyed.